Josephobrienfansite Promo Video from Aidan O'Brien on Vimeo. Former Ballydoyle inhabitant Tower Bridge looked quite classy when triumphant in the concluding event at Ballinrobe, the McHale Orbital Round Bale Wrapper INH Flat Race. This High Chaparral gelding was a promising fourth on his debut when racing for winning trainer Joseph O'Brien's mother Ann Marie. Bred like Irish Guineas third Irish correspondent by Ballygallon Stud, Tower Bridge since transferred into J P McManus' ownership. Tom Hamilton rode the four-year-old and himself and odds-on favourite Special Ted went at it from a nice bit out. However the 7/4 victor was much the best inside the last as he went on to gain the day by five and a half lengths. O'Brien also had the third home, Border Control (10/1 into 7/1), three lengths further back. "He picked up well, I thought it was going to be a battle off the bend, but he picked up well and ran on home well. He learned a bit from Punchestown and he doesn't mind the bit of quick ground. I'd say he will go for a winner's bumper somewhere now," said McManus racing manager Frank Berry. Can Joseph join an exclusive club thanks to Rekindling? Rekindling is a 25-1 outsider for Saturday’s Investec Epsom Derby but if the colt manages to win racing’s ‘Blue-Riband’ he will put his trainer Joseph O’Brien in the most exclusive of classic company. Just four men in the Derby’s illustrious 237-year history have both ridden and trained winners of the world’s most famous flat race. However, just three years after O’Brien rode to Derby success for a second time on board Australia, the 24-year-old former champion jockey has an opportunity to pull off a remarkable double on Saturday. And history indicates long odds are no barrier to managing it either. The last man to do the double was the legendary Englishman Harry Wragg who won the Derby three times as a jockey and in 1961 trained Psidium to record a shock 66-1 success at Epsom. In contrast, Rekindling will line up having notched up a success in an established Derby trial, last month’s Ballysax Stakes at Leopardstown which was won a year ago by the subsequent Epsom hero Harzand. He was the fourth Irish-trained Derby winner in the last five years and the potential distinction of becoming the 20th Epsom Derby winner trained in this country lies in store for Rekindling or indeed any of Aidan O’Brien’s seven current contenders. The notable prospect of emulating the six Derby victories of his Ballydoyle predecessor is in front of O’Brien Snr. However even his exalted standards never extended to the prospect his son has of both training and riding a Derby winner. Typically, that wasn’t being entertained by Joseph O’Brien on Tuesday. “I wouldn’t even let myself think like that,” he said. But in a year lacking a stand-out star such as Australia, or his 2012 mount Camelot, Rekindling goes to Epsom with some confidence behind him. “If he had done at York in the Dante what he did at Leopardstown the first day [Ballysax] he would be a lot shorter. He didn’t like the ground at York. He travelled good into the straight and then he was all over the place on the ground,” O’Brien said. “He doesn’t want it firm and he doesn’t want it heavy but apart from that I think he’ll be okay. Better ground you’d think would suit him at Epsom,” he added. Like the dual-1,000 Guineas winner Winter, Rekindling was trained by David Wachman as a two year old and it was Wayne Lordan who rode the colt to win the Ballysax. 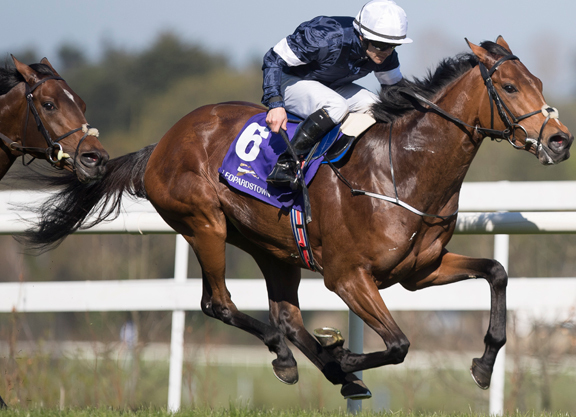 O’Brien’s brother, Donnacha, was in the plate in the Dante and final riding arrangements for Epsom are unlikely to be made before Thursday’s final declaration. Ballydoyle’s Rhododendron has gone odds-on in some lists for Friday’s Oaks at Epsom and one old rival she won’t have to deal with is Intricately. Joseph O’Brien’s Group One-winning filly just failed to make the frame behind Winter in Sunday’s Irish 1,000 Guineas and although she is still in the Oaks she will not be accompanying Rekindling to Epsom. “It’s very unlikely she’ll run in the Oaks. Instead we might go either to Ascot or wait for the Pretty Polly with her,” the trainer said. I was very pleased with how my team performed over the weekend, they all ran well. 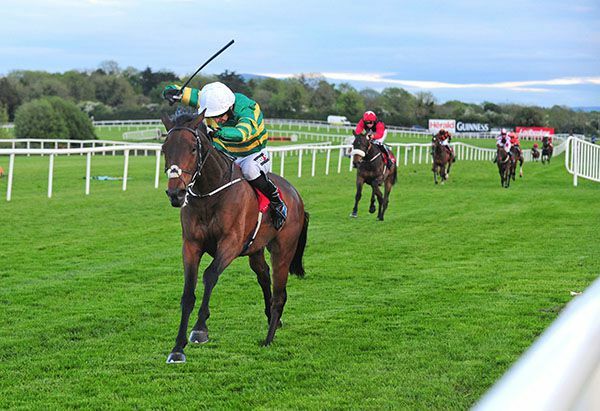 It was a good weekend that started with a couple of seconds and thirds at Leopardstown on Friday night, as well as a win at Down Royal thanks to Mischievious Max. Intricately ran a blinder in the 1000 Guineas at the Curragh on Sunday. We will see how she comes out of the race and monitor her over the next week, then we’ll be able to make a plan for her going forward. There’s plenty of races available for her including Ascot or the Pretty Polly, so we’ll see how she comes out of it and take it from there. Whatever the plan, we should probably be trying to avoid Winter, who was superb in winning the 1000 Guineas. She’s a really high class filly, she travelled well and galloped all the way to the line. It’s hard to see anything that’s going to beat her. It gives a boost to Rhododendron who was runner-up to her in the 1000 Guineas at Newmarket, so we look forward to her upcoming appearance in the Oaks. I was very impressed by Churchill who also put in an exceptional performance in the 2000 Guineas. The ground wasn’t ideal but he’s a very good horse who travelled well and quickened up well when asked. he looked like a horse that could get further than a mile. He’s very relaxed in his races and the way he quickens up suggests there’s no reason why he couldn’t go a mile-and-a-quarter as the year goes on. Joseph buys lot 197 at Goresbridge breeze up sales. ©Healy Racing PhotosTrainer Joseph O’Brien has his string in excellent health at present and sent out his tenth winner this month when his Mischievious Max landed the concluding Glenpatrick Sport Horses INH Bumper at Down Royal, winning under the yard’s amateur jockey Tom Hamilton. The son of Dubai Destination and 8/11 favourite was made work for his win but did respond well for pressure to eventually score a four and a half lengths win over Winter Time. Afterwards Hamilton stated “he did it well and put his experience to good use. He was very professional and he kept galloping. For a stride or two I was short of a small bit of room turning in but he got through a gap and picked up and went away and did it nicely." Trainer O'Brien has already registered seven national hunt winners this new season to accompany three flat winners in the same period. Paul & I would like to wish Joseph a very happy 24th birthday today we wish him continued Success. Rekindling ran a good race at York even though the ground did go against him on the day but we were happy with the run. There’s a chance he could go to the Derby but we’ll wait and see how he is closer to the time. Dad’s horse Cliffs Of Moher won his trial well and is joint 4/1 favourite alongside Cracksman for the Derby. Yucatan is another horse he has entered as well as Venice Beach that won at Chester. It’s shaping up to be an extremely exciting race and I can’t wait for it! Elsewhere, Intricately is in good form and we plan to go to the Curragh with her this weekend. We’d like to think that she could run better here than her previous run at Newmarket. All things going well it should be nice quick ground at the Curragh. 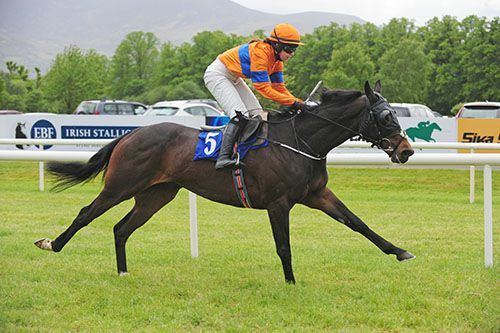 True Blue Moon made it two wins from two at Naas on Sunday and he looks to have improved immensely since his first run. I’m thrilled, the future looks bright for him! Joseph O'Brien and JP McManus completed a first and last race double at Punchestown, as Los Alamos made all in the concluding Racing Again May 31st (Pro/Am) Flat Race (the duo were successful earlier with Cook Islands). Third on his debut to His Dream and subsequent winner Cornelius Sulla at Down Royal earlier this month, the son of Galileo was since purchased by McManus. Available at 4/1 last night, the son of Galileo came in for plenty of market support, opening on-course at just 2s, before going off the 15/8 market leader. Sent straight to the front by Patrick Mullins, he raced in a clear lead. His advantage was reduced on the approach to the straight, but he soon went on again, and was kept up to his work inside the final furlong, going on to score by eleven lengths. Vocarium, who was sent off the 2/1 second favourite, had to settle for second under Jamie Codd for Peter Fahey, while Texie Rexie (6/1) was twenty lengths back in third, with Steven Clements in the saddle for Jessica Harrington. The winning rider said afterwards: "When I rode him in the north I thought he's a Galileo and he'll be quick but he actually has a very high cruising speed. "I think he wants that good ground and I think he'll win a winners bumper. "He wants a strong gallop on good ground and I think they'll have a bit of fun with him." 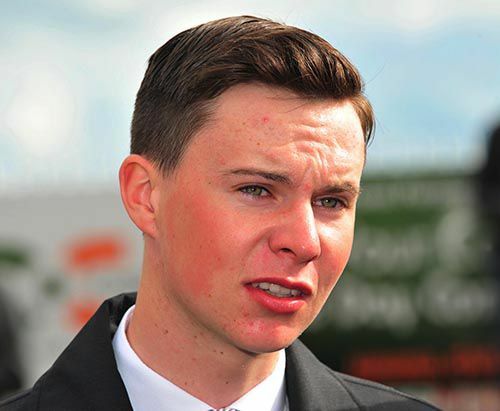 Joseph O'Brien and owner JP McManus registered a 1, 2 in the opener at Punchestown, the www.punchestown.com Maiden Hurdle, with the 5/2 favourite Cook Islands (first time tongue strap) leading home 16/1 chance Monarch. Ridden by O'Brien, for his father Aidan, when winning his maiden at Navan in 2016, the winning son of Fastnet Rock failed to follow-up on his next four starts. Having his first start for O'Brien junior this evening he was settled towards the head of mid-division by Mark Walsh, and was hampered at the fifth by the fall of Blue Eyed Lucy. He was niggled along in fourth on the approach to the straight, and came with his challenge on the outer at the last. The bay victor was soon ridden to the front, and he kept on well in the closing stages to score by two and a half lengths. Monarch, who travelled best before the last, didn't find a whole lot off the bridle, and he had to settle for second. Leomar (10s this morning and from 7s to 4s on-course) was another three lengths back in third under Bryan Cooper for Gordon Elliott.First Class Ticket was the big gamble of the race. From 20s last night, the Andrew McNamara trained gelding opened on-course at just 10/3, before going off the 3/1 second favourite. He briefly led before the final flight, but ultimately had to settle for fourth, a nose behind the third. Frank Berry, racing manager to JP McManus, said afterwards: "Mark said he warmed up to it well after getting messed around by the faller left him a bit out of it. He said he got the hang of it well and came home well. "You'd have to be pleased with him. He probably wouldn't want the ground any faster than tonight. "We'll tip away with him during the summer and see where we end up. "The second horse arrived there going well. They should both learn a bit from the experience. We'll have a bit of fun with them during the summer." " He won nicely first time out,then had a little setback and missed his intended race. We came straight here and we were a little worried about it but he has won nicely today"said Joseph. It looked a warm enough race on paper to me there were a few maiden winners in there. "they went a good gallop and there was no excuses, we are delighted with him". "He will have an entry at Royal Ascot but not sure which race to go for, we will decide nearer the time, we will have a handful of horses there." "Happy with Rekindling although the ground went against him on the day, he stayed on well and looked the best to take out of the race, will decide over the next week if he is going to the Derby, he has a chance of being in the first 5 so you have to take your chance". "Intiricately likely to go to the Curragh, Newmarket was very disappointing, she has it to prove but the filly is in great form, hopefully she runs a good race, nothing has come to light." Big Ben has been gelded. Course winning maiden hurdler Kilclispeen struck under Jody McGarvey in the Coors Lite Handicap Chase at Downpatrick. Champion conditional Rachael Blackmore looked like she'd delivered Admiral Bob with perfect timing up the inner away from the last. However, with the stand's side rail to help the J P McManus-owned and Joseph O'Brien-trained Kilclispeen found enough to come out on top by just a head. "It just got a bit tight down the inner and I had to switch out and he had a good jump at the last and to be fair to him he battled well up the hill. I thought Rachael (Blackmore on Admiral Bob) just got a run on me but in fairness to him he stuck his old head out and did it," stated McGarvey. "Look it's the lowest of the low. The second horse was way out of the handicap rated 60 or 70 or something. It just shows you the strength in depth to the race." 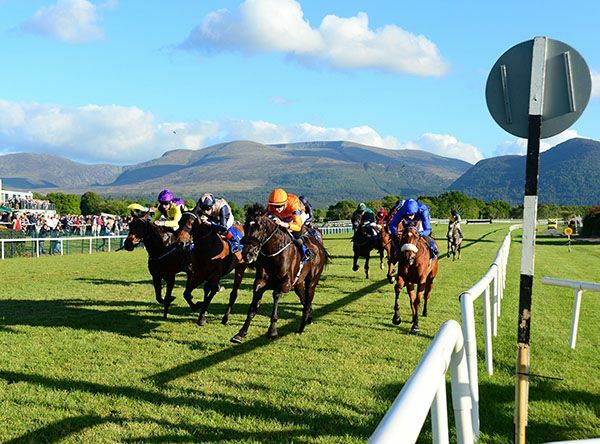 The betting suggested that we could have an O'Brien winner in the Ladies Day Thursday 20th July 2017 Handicap at Killarney. Aidan and Ana's favourite Auckland could fare no better than sixth place though, as Joseph and Donnacha's Apparition (8/1) took the first prize. It was only a neck and the same that the Dream Ahead gelding had in hand at the line, as Magen's Storm finished off well in second. Binary Code was the third placer. This wasn't a race many punters will remember with fondness. The well-fancied Make It Hurrah (7/2) was slowly into his stride and never really got involved before beating just outsider Mags Well home. 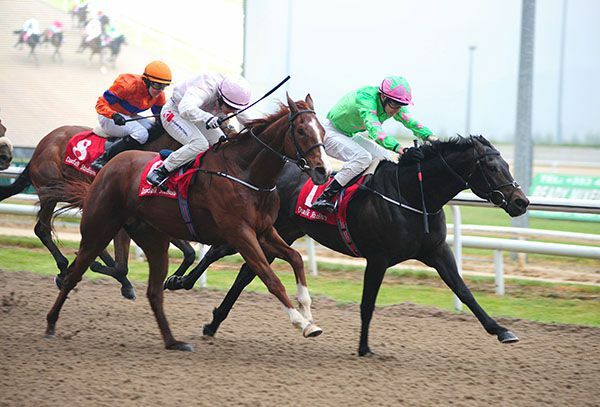 However for the O'Briens it was a result to relish, as Apparition is owned by Joseph and Donnacha's mother Ann Marie. It’s a big week for the yard with Rekindling heading to York for the Dante on Thursday. 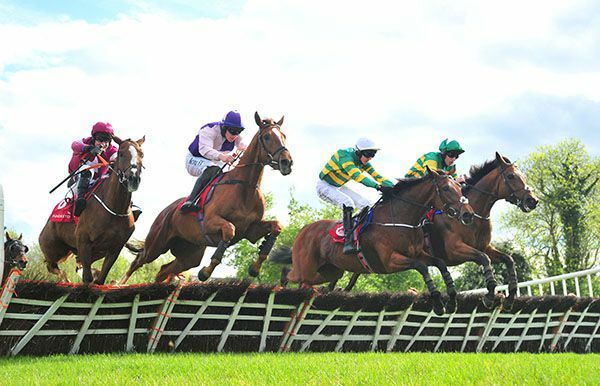 He’s in very good form and the Ballysax form was given a boost with the three horses behind him, finishing 1-2-3 in the Derrinstown Trial last weekend. We’ll have a better idea of where we stand after Thursday. The Dante is traditionally one of the stronger trials and if he is thereabouts, we’ll head to Epsom afterwards. The Derby has a very open look to it this year, there isn’t a standout colt at present. My father saddled three nice colts to fill the placings in the Chester Vase, while Cliffs Of Moher impressed me in the Dee Stakes. Dad mentioned afterwards that he’s the colt that might improve the most from the trials. I noticed that BoyleSports made him Derby favourite afterwards and I think he’ll have a big say on June 3rd. 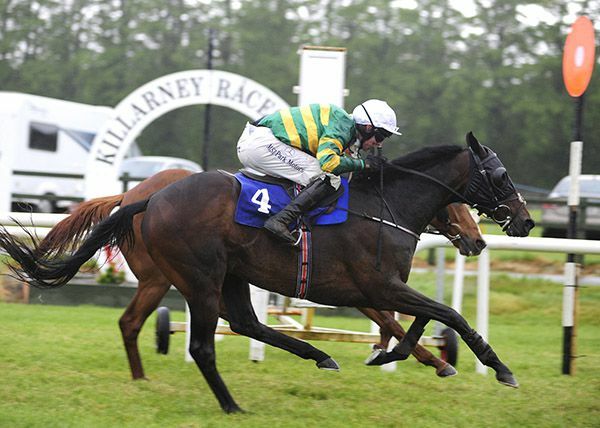 It was great to saddle a double on Sunday at Killarney. Le Richebourg put up a solid performance to win the maiden hurdle. It probably wasn’t the strongest of races but he couldn’t have done it any easier. He’s a half-brother to Grands Cru and Gevrey Chambertin. They were smart types and if he has their ability then we should have plenty of fun with him. Cornelius Sulla made all to win the bumper under a good ride from Sarah. 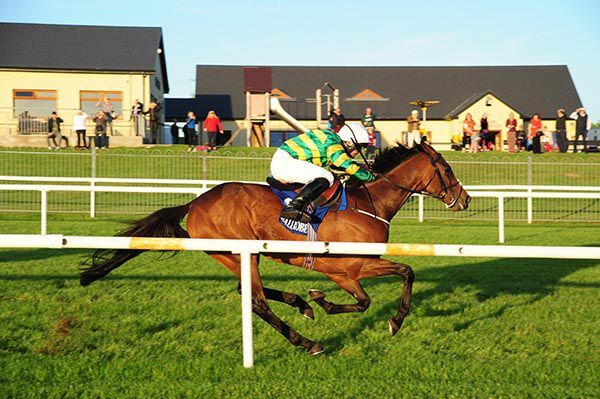 He might go for a winners bumper in Sligo later this month but he’ll be hurdling soon. The Joseph O’Brien trained Plinth returned to winning ways at Killarney today, narrowly landing the Kelly Brothers Sliabh Luachra Hurdle to make 2017 his fifth consecutive winning year. Plinth, whose winning ways began in 2013 and was previously successful in August 2016, today scored a ninth career win and a fifth under jockey Mark Walsh, who steered him to an all out nose win over Flaxen Flare. 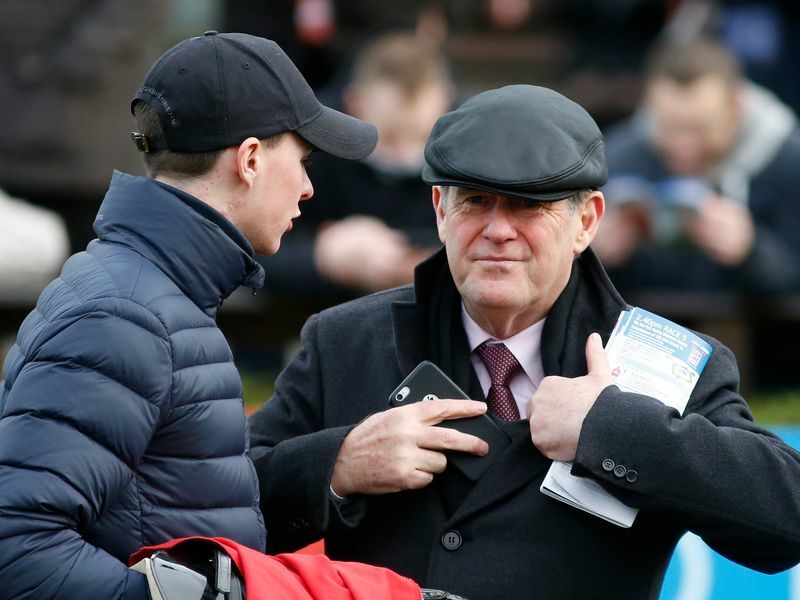 O’Brien, who had a double at the venue yesterday, wasn’t present but Plinth’s owner J.P. McManus’ racing manager Frank Berry later stated “he's been a grand old servant. He's had a bit of a break and he battled really well. "He didn't mind the drop of rain, and will tip away over the summer. We'll find a conditions race for him." Cornelius Sulla finally gets his head in front. 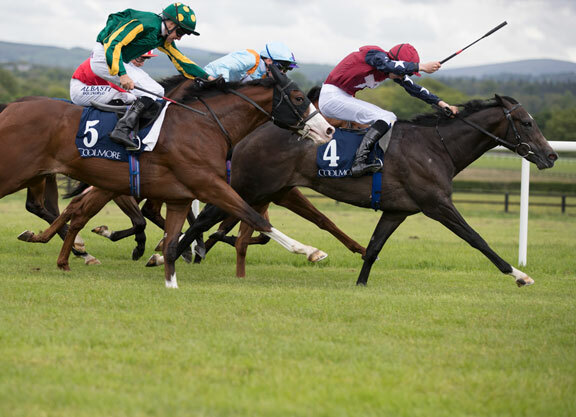 Joseph O'Brien completed a first and last race double at Killarney, as his Cornelius Sulla took the concluding Jim Ryan Racecourse Services (Pro/Am) Flat Race (O'Brien won the opener with Le Richebourg). Placed on his last three starts, the son of Soldier Of Fortune was sent off the well-backed 11/4 favourite (from 4's) today in first time blinkers. Sent straight to the front by Sarah O'Brien, he made all, keeping on well when ridden from two furlongs out, going on to score by four lengths. Newcomer The Princetonian couldn't reel in the winner, and had to settle for second under Donal McInerney for Jessica Harrington at 8/1. Joseph O'Brien also saddled the third horse home, and that was Mischievious Max (20/1) who was nine lengths back under Tom Hamilton. Sarah O'Brien said afterwards: "He did it well but is a bit lazy and the blinkers seemed to sharpen him up a bit "He has been running very well in some very good races and was second to Debuchet so has the form. "We'll see how he is after that and decide where he goes next but there's no real plan." 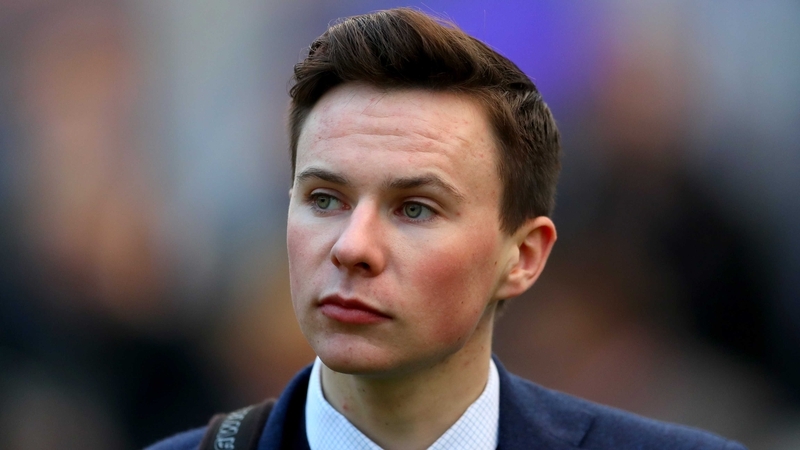 While Joseph O'Brien was completing a double at Killarney, his father Aidan and brother Donnacha also combined for a double of their own at the Curragh. Le Richebourg ran out an impressive winner of the opener at Killarney, the Sika Signs Maiden Hurdle. Placed on his first two starts in bumpers, the son of Network was expected to open his account today on his first start over flights. Easy to back in the morning, the Joseph O'Brien trained gelding came in for plenty of market support on-course, going off the 15/8 favourite from an opening show of 5/2. Having raced mainly in second under Mark Walsh, the JP McManus owned victor improved to dispute the lead from three out. He hit the front at the next and soon went on. Staying on strongly from the last to record an easy twelve length success. High School Days, who attempted to make all, had to settle for second under Bryan Cooper for Henry De Bromhead at 16/1 (from 20's), while Denham Sound (5/1 from 10/3) was another three and a quarter lengths back in third for Davy Russell and Charles Byrne.The well-backed Silver Star (33's this morning and from 9's to 7's on-course) just missed out on the placings. He was another three lengths away in fourth. Easy Gold was also well-backed (9/2 to 9/4 on-course), and he finished fifth under Ruby Walsh for Willie Mullins. Frank Berry, racing manager for JP McManus, said afterwards: "That was grand and he jumped away very well so you'd have to be delighted with him. "He likes a bit of good ground and is a novice going forward, so we'll tip away during the summer and see where he ends up. It mightn't have been much of a race but you couldn't ask for any more than he did." A new horse for Joseph Secret Splendour and a new owner Mrs A H Marshall. Richard Strauss made the breakthrough on his tenth career start, as he defied top-weight in the 12th July Horse & Greyhound Racing Handicap. Trained by Joseph O'Brien, and ridden by his brother Donnacha, the son of Kheleyf was sent off the second favourite at 7/2 in the colours of owner Marita Rogers. Prominent early, he was soon settled in mid-division, and was fifth on the inner as they entered the straight. He was ridden in pursuit of the leader with under two furlongs to go, getting up in the closing stages to score by half a length. Border Prince, who was backed from 33/1 to 20/1 on-course, attempted to make all, but he couldn't hold off the winner, and had to settle for second under Colin Keane for John Murphy. Wild Shot (6/1) was another half a length back in third for Donagh O'Connor and Damian English, while the 2/1 favourite (was 10/3 last night and from 7/4 on-course) Shawami was a disappointing tenth under Colm O'Donoghue for Jessica Harrington. Donnacha O'Brien said afterwards: "Today was a little step down in class. We went a nice gallop, he got a good run through and he put his head down when I needed him to. "He seemed like he enjoyed it (surface). It's nice to get a win, hopefully he'll get another one." Guineas weekend at Newmarket left us with mixed feelings. I was a bit deflated after Intricately’s run but it was brilliant to see Dad land both classics. We can’t really put our finger on Intricately’s run. She travelled well through the race but just didn’t pick up when Donncha asked her. We can’t offer an explanation for the run but sometimes Newmarket can do that to horses. I’ve seen lots of horses over the years run poorly in the Guineas and come back to form next time. She’s only arrived home on Monday morning so we’ll give her a couple of days before deciding whether to target the Irish 1000 Guineas next weekend. I was delighted for Dad to win his fourth English 1000 Guineas. I think both Winter and Rhododendron are exceptional fillies and they’ll be tough to beat for the remainder of the season. Churchill again demonstrated his superstar qualities in the 2000 Guineas. He’s got all you’d want in a miler. He possesses plenty of pace, travels strongly and has a potent turn of foot. In terms of where he stands in comparison to Dad’s seven other Guineas winners, it’s very hard to say. Often with that question, your current star is your best one when asked. It looks like he’ll be made into a top-class three-year-old though. Whether he’ll get 12 furlongs, that’s still an unknown and only time will tell. He’s by Galileo so that’s a good starting point and his relaxed style of racing will give him every chance. I know for sure I wouldn’t like to be trying to beat him with one! 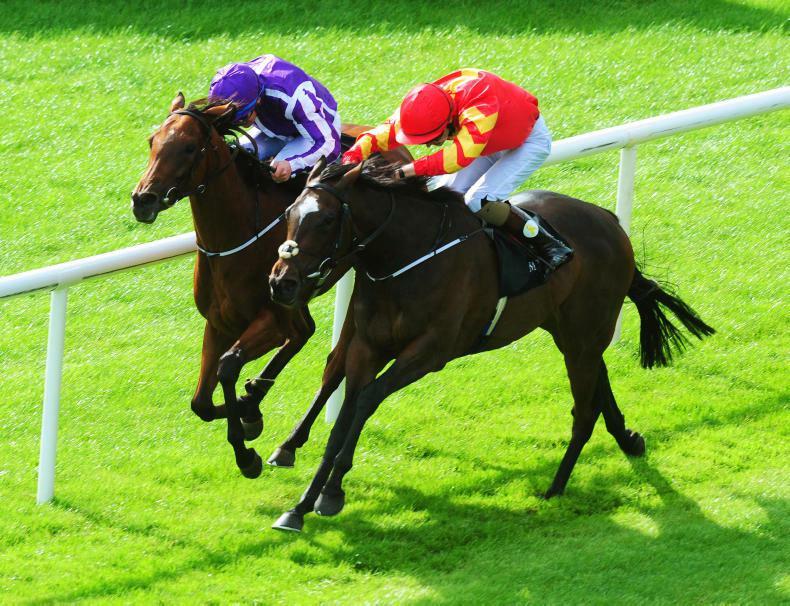 At Leopardstown, I was impressed with the first three home in Sunday’s Derby trial. They look like three high-class colts. It was great for Emmett McNamara to bag a big prize on Douglas Macarthur. He’s an invaluable member of the Ballydoyle team and a quality rider. Where Epsom is concerned, there are so many variables to consider other than bare form. Epsom provides the ultimate test of the thoroughbred and from the track layout, to handling the occasion, to luck in running. These are only some of the many things to consider. There clearly isn’t a whole lot between them, maybe Yucatan did best to come from as far back as he did. Joseph O'Brien has not yet firmed up future plans for Landofhopeandglory following his fine effort in defeat at the Punchestown Festival. The high-class Flat performer put an early marker down in the juvenile hurdling division last season by winning his first three starts over jumps. 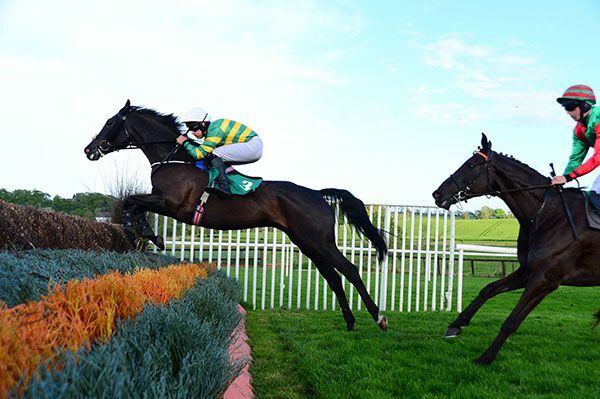 Although he has failed to add his tally since, he has performed creditably in defeat, including finishing fifth in the Triumph Hurdle at Cheltenham and he ran his best race since the turn of the year when runner-up to Bapaume in Punchestown's Champion Four Year Old Hurdle. O'Brien said: "He ran a huge race and seems to have come out of it well. "I'm not sure whether we'll give him a break or keep him going during the summer for races like the Galway Hurdle. We'll see what the plan is." Landofhopeandglory was the standout performer during the fledgling trainer's first full National Hunt season with a training licence. The smart mare Slowmotion and novice chaser Edwulf were other notable contributors as he saddled almost 40 winners. 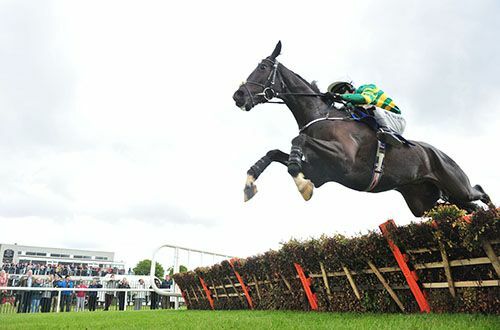 Of his first jumps campaign, the ambitious O'Brien said: "We had a fairly good year, but you always want to do better. "We'll try our best to keep improving." Unicorn is a Non Runner in the 4.35 at Cork as he is coughing. 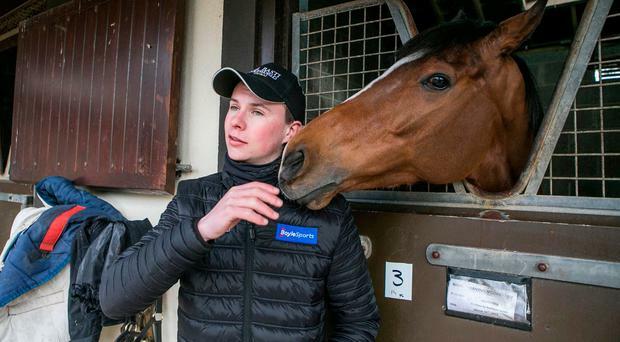 Joseph O'Brien is looking forward to saddling his first Classic runner when Intricately bids for glory in the Qipco 1000 Guineas at Newmarket on Sunday. The 23-year-old enjoyed multiple Classic victories during his relatively short but distinguished riding career, most notably steering Camelot to win the 2000 Guineas, the Epsom Derby and the Irish Derby in 2012. Joseph enjoyed a sensational start to his new career last June when firing out a four-timer from seven runners on his first day as a fully-fledged trainer. Intricately became his first Group One winner when causing a 25-1 upset in September's Moyglare Stud Stakes, notably beating 1000 Guineas favourite Rhododendron, trained by Joseph's father Aidan, into third place. A trip to the Breeders' Cup proved a step too far, but O'Brien was satisfied with his filly's comeback effort when fourth in last month's 1,000 Guineas Trial at Leopardstown and is expecting her to raise her game on the Rowley Mile. He said: "The filly is in good form and all being well she'll run at Newmarket, that's the plan. 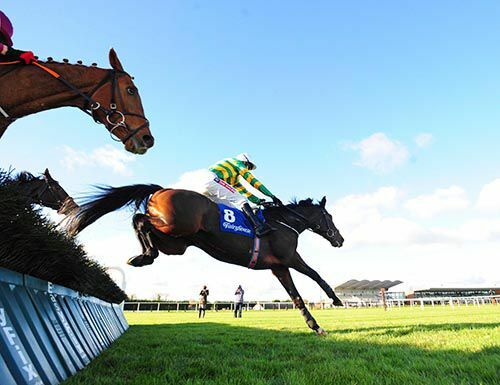 "We were happy with her run in Leopardstown. It was a competitive race, she ran well and we'd be hoping she'll come on from it. "We're looking forward to Sunday and we'll see what happens." Rekindling is set to test his Derby claims in the Betfred Dante Stakes at York on May 18th. An impressive winner of a Gowran maiden last September, the son of High Chaparral then finished last of 13 runners on what was his final start for the now-retired David Wachman in the Criterium de Saint-Cloud. Rekindling's new trainer, Joseph O'Brien, was not sure what to expect when he made his seasonal reappearance in last month's Ballysax Stakes at Leopardstown, but he looked a top-class prospect in putting some talented colts to the sword. 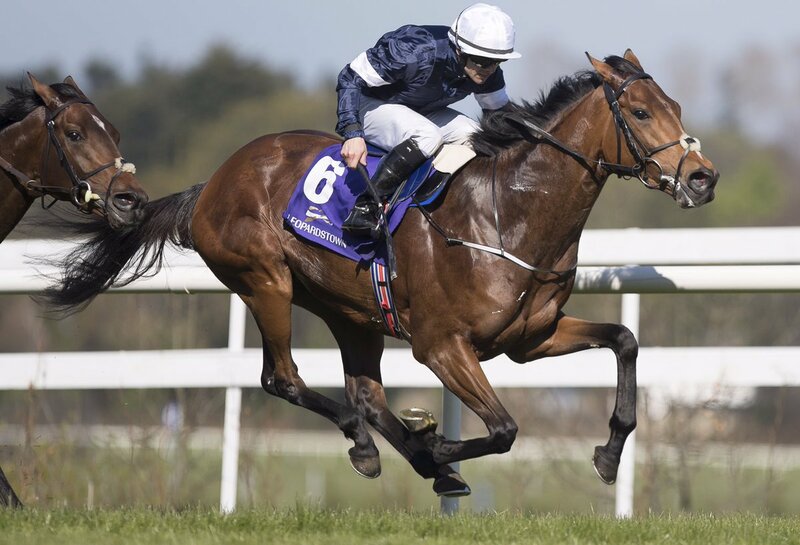 O'Brien said: "He came out of his run in Leopardstown in good form and the plan is for him to go for the Dante. "We just felt York would be a good stepping-stone to Epsom. "It's always a very competitive race and we'll know exactly where we stand afterwards." Rekindling is currently a best-priced 25-1 for the Investec Derby at Epsom on June 3. Intricately one of 18 left in the Qipco 1000 Guineas at Newmarket at the 5 day stage.